Sales of newly built, single-family homes increased 18 percent in August to a seasonally adjusted annual rate of 504,000 units in August, the highest level in six years, according to newly released data by HUD and the U.S. Census Bureau. “This jump in sales activity is in line with our latest surveys, which indicate builders are seeing increased traffic and more serious buyers in the market for single-family homes,” said NAHB Chairman Kevin Kelly. 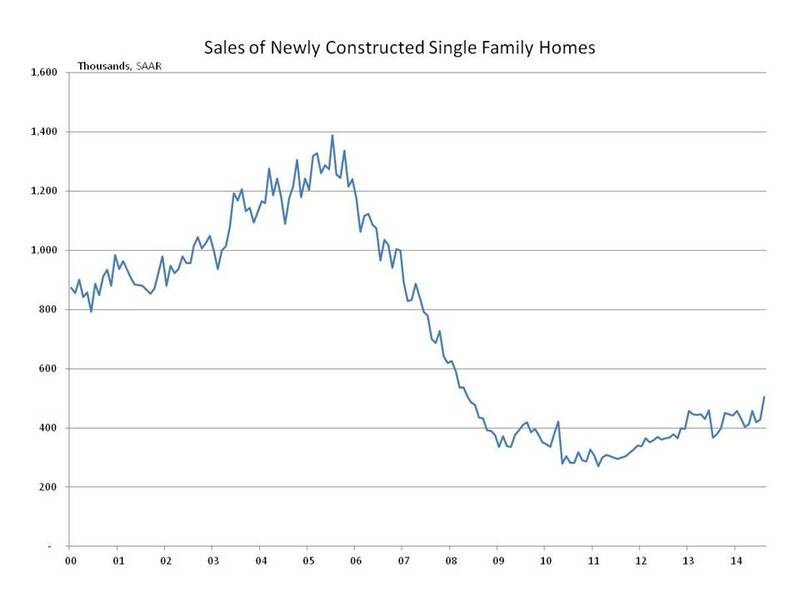 Regionally, new home sales rose 50% in the West, 29.2% in the Northeast and 7.8% in the South. Sales were unchanged in the Midwest. The inventory of new homes for sale edged up to 203,000 in August, which is a slim 4.8-month supply at the current sales pace. View more analysis in NAHB’s Eye on Housing blog post.